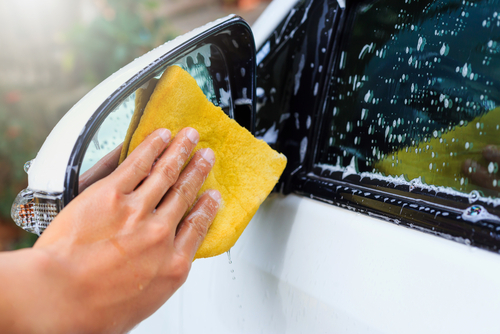 Hand washing your car doesn’t have to be a task. Knowing you are taking the time to look after your investment not only feels great but can also become quite of meditative. 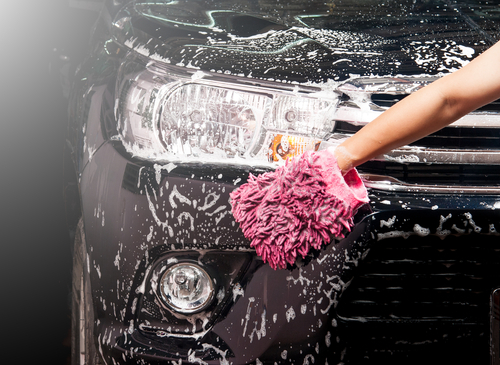 So, if you’ve got a few spare minutes, why not pull into one of the 5 LuxeWash manual washing bays. They are fully equipped with all you need to wash and detail your vehicle. When it comes to manual washes there are experts galore who have their own opinions on what will produce the best results. Some are a little more arduous than others. The LuxeWash team has combed through the best suggestions to bring you the most effective and efficient techniques. Developing good technique will see your car looking like its just rolled out of the dealership. Consistent maintenance will also help keep the value of your car. If you are going to do it, do it well. At LuxeWash we have a range of quality products to help you keep your car looking as new as possible for as long as possible. Car washing tools need to be effective at removing dirt and debris but they car be so abrasive that they damage the paint. Porous sponges and microfiber towels or mitts are the best options. The soft fibre won’t scratch the paint its self, and the porous nature of the materials will collect the dirt so as not to scratch or swirl either. The washing product you use is also important. At LuxeWash we provide you with quality products so you don’t have to think twice. Tip: Use separate cloths for the body of the car and the wheels and the under body. The wheels and underbody will collect more dirt, grime and grease that can be detrimental to your body paint. By far the most important part of it all, the wash is often overlooked as a simple scrub down. While a thorough wash shouldn’t be too tedious, there are some techniques that will help you reach the very best results. Please, please, please, pre-rinse! Hosing down your car should be about more than just creating a wet surface to sudd-up with soap. Rinsing your car with conviction will remove the surface layer of dirt that if left will cause swirling (the small scratch marks that appear over time from poor washing technique). Starting at the top of the car and working down. Try to resist the natural urge to use circular motions, if there is dirt in your sponge/cloth/mitt you will get swirling over time. Long strokes in one direction will help combat this. The best was to eliminate dirt building up in your sponge/cloth/mitt is to rinse it between each panel (or more frequently if your car is particularly dirty). Have a buck of clean water beside your soap bucket to make it a simple action. Some people recommend rinsing your sponge every time before you dunk it into the soapy water. This will prove the best results, but if your car isn’t covered in mud and you’ve rinsed it really well you don’t need to worry too much. You never want to let your car just dry ‘naturally’. Thoroughly drying your vehicle will prevent water marks. It doesn’t have to be an arduous task, a paint safe squeegee is a great option, but the classic chamois and even the modern microfiber towels are a great option. Start with your mirrors, windows and windscreens, given that these are what will affect your driving you’ll want to do it right. Once again, use separate cloths for the body and the wheels to prevent cross-contamination. A high-quality wax is what will give you that new car shine. It will also protect the paint from the sun and dirt. It’s much easier to wash dirt off a smooth waxed surface than a rough surface. Liquid or paste waxes will give you the longest lasting protection with a variety available on the market. Each wax product will have varying application instructions, but generally speaking, the best technique is to use small overlapping circular motions. A microfiber towel is once again the best application tool. You’ll want to apply a layer of wax, then remove the excess with a clean cloth. Working on one panel at a time. Whether you are committed to the full manual car wash or opt for a time-saving automatic wash, regular car washes will prove worthwhile. Maintaining your car exterior and interior will help preserve your car’s value, as well as instilling a sense of pride. Visit the team at LuxeWash between 8 am and 4 pm to talk to any of our friendly staff. Or visit when it suits you, were open 24/7!